With: A Pale Horse Named Death, Amon Amarth, Apocalyptica & Avanti! 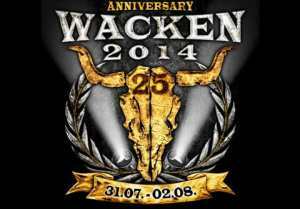 Orchestra, Arch Enemy, August Burns Red, Avantasia, Bülent Ceylan, Behemoth, Bembers, Blechblosn, Bring Me The Horizon, C.O.P. UK, Carcass, Children Of Bodom, Chthonic, Crematory, Decapitated, Degradead, Der W, Devin Townsend Project, Dunkelschön, Emperor, Endstille, Excrementory Grindfuckers, Firkin, Five Finger Death Punch, Fleshgod Apocalypse, For The Imperium, Godsized, Hammerfall, Hatebreed, Heaven Shall Burn, Hellyeah, Iced Earth, ICS Vortex, J.B.O., King Diamond, Knorkator, Kreator, Lacrimas Profundere, Masterplan, Megadeth, Motörhead, Nachtgeschrei, Nailed To Obscurity, Nightmare, Omnia, Onkel Tom, Pampatut, Prong, Red Hot Chilli Pipers, Saltatio Mortis, Santiano, Saxon, Schandmaul, Skid Row, Sodom, Steel Panther, The Ocean, The Vintage Caravan, Torment, Vogelfrey, Vreid + Guests Sognametal 20 Years, W.A.S.P.